Greg Hudik is back with his new single, I’ve Changed. After Greg Hudik’s first regional record, recorded in 1986 at the very first MTV spring break festival in front of 400,000 in Daytona Beach recorded by John Rosin who recorded Peter Frampton, Bob Seger, and Jackson Brownes live records, Greg Hudik released his music regionally on his own Indie label Platinum Records Nashville. 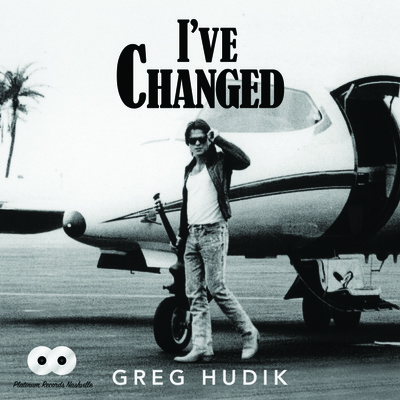 Greg Hudik never released his music Nationally. He then signed a songwriters deal in 1994 with Sony and then George Strait. Writing hits for other artist regretting never releasing his six records to the World to hear until 2018. I’ve Changed is a song that connects with everything that a woman wants a man to say and do, for the one that he truly Loves. Summertime Beach Alternative rock / Adult Contemporary single and video OUR LOVE CAN’T BE MEASURED BY WORDS Early Spring 2019.